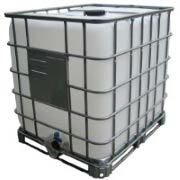 IBC-BTL003 | These IBC totes are primarily designed for transporting and storing bulk liquid contents. 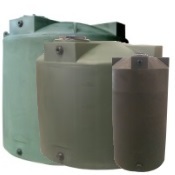 The cubic form of these tanks makes them better for transporting contents than vertical tanks. 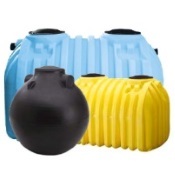 The steel cage, pallet and polyethylene resin are all FDA approved which means these totes are safe to store potable water. 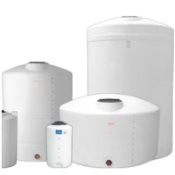 IBCs can also be used to store a wide variety of hazardous chemicals, food syrups like molasses, rainwater, petrochemical products, many acids, liquid fertilizers and liquid feed. 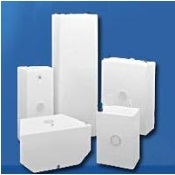 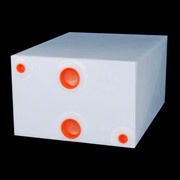 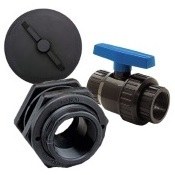 The natural white color of polyethylene is translucent which allows you to view content levels. 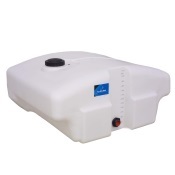 This is a 1.5 specific gravity tank.